2046 while still a beautiful movie, at first sight it is a bit disappointing after all the others spellbinding subtle storylines. 2046 doesn’t come near to it for me – some part of the story is even repetitive. Visually still top-notch as ever like Wong’s earlier works with his signatures throughout: quick cutting, slow motion, fast motion, freeze frames, black and white, tilt shots, color filters, neon-sign lighting, aided ably by three able cinematographers. Music by Shigeru Umebayashi is haunting and sets the right mood. While doing the stills, I tought every second scene – if not every one – was a pure and strangely beautiful picture. A photographers movie indeed. 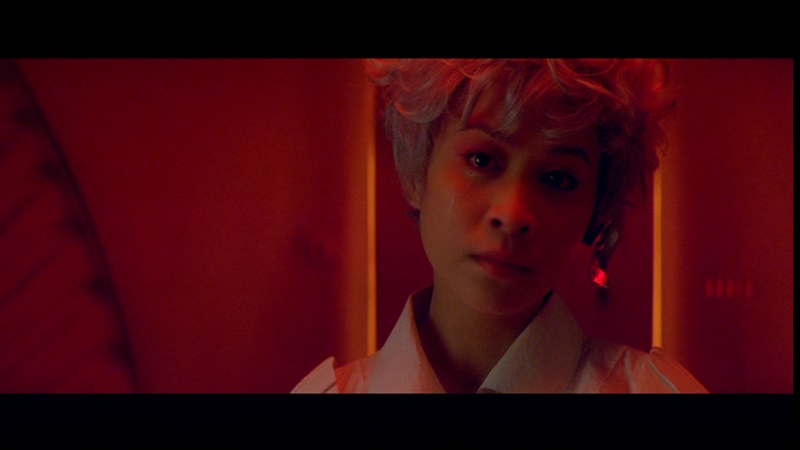 Wong Kar Wai apparently intended initially to do three separate stories, all exploring the idea of sexual relations between humans and androids. 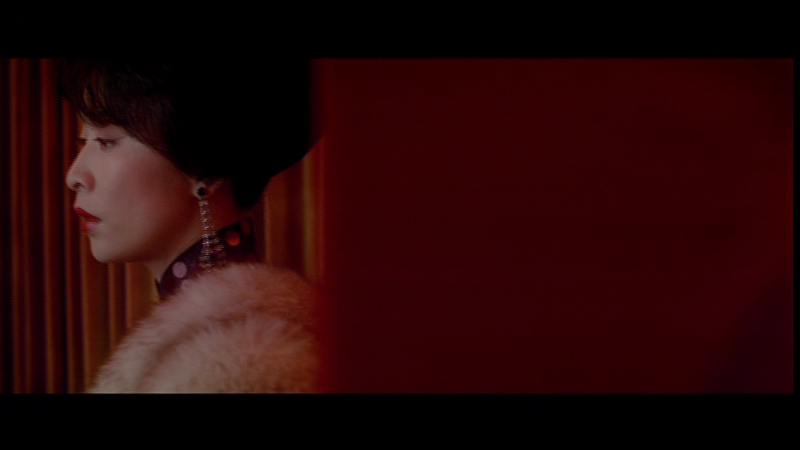 Gong Li as Another Su Li-Zhen. the “professional gambler”. 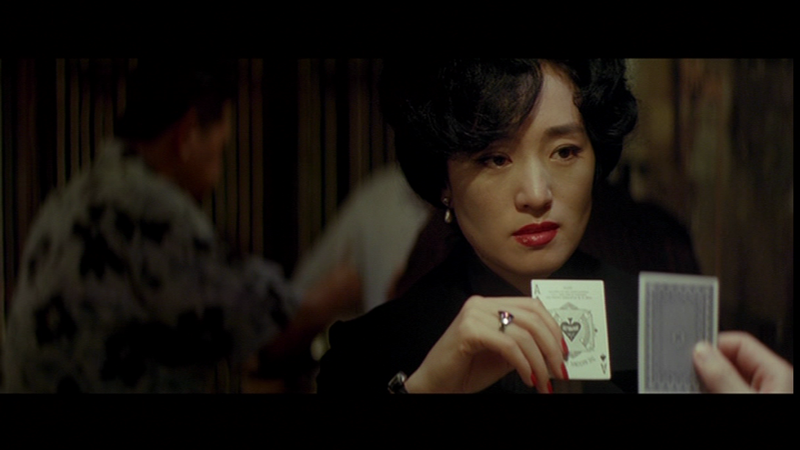 Note the death card, coming up twice in this movie. I am very impressed about the gambler. A shadow of his old love Su maybe? Faye Wong Wang Jing Wen “hotel owners daughter with the Japanese lover”. After finding out that she still misses her ex in Japan, he takes her to his office so that she can call him. Zhang Ziyi as Bai Ling. beautiful call girl heart-broken by him. Big star in Hongkong and in Chungking Express. The fourth is the world of 2046 and concerns futuristic train passenger falling in love with an android in the train to (or from) 2046. The story is complex – I recommend the wiki article for hints about the plot. But what is it all about? I have three hypothesis. (1) A sequel of in the Mood For Love. In the eighties there was a documentary cult book in the liberal, leftist circles in Germany – „Tod des Märchenprinzen“ .- death of the fairy prince, an authentic story written from the point of view of a women. It was answered with a little brochure from the Märchenprinz in the book: „Ich war der Märchenprinz – I was the prince, to set things right. 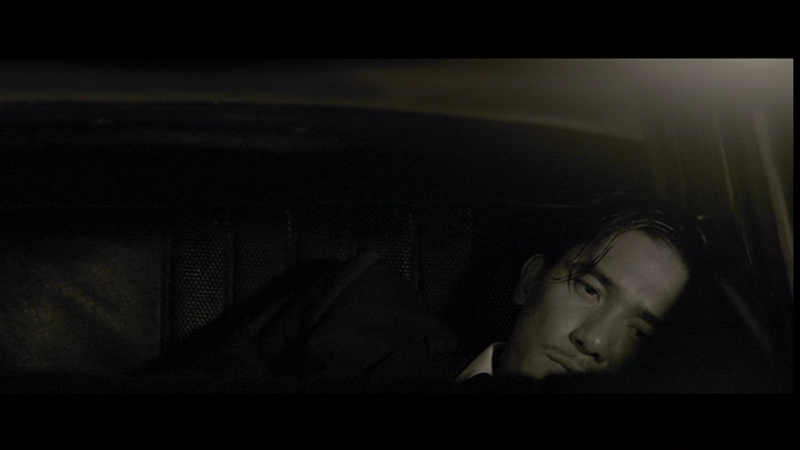 Similar, in a follow-up to the film, 2046 covers the aftermath of the doomed affair between Chow Mo-wan (Tony Leung Chiu Wai) and Su Li-zhen Chan (Maggie Cheung) from the „Mood For Love“, told from Chow’s perspective. In the first movie he was a the “Quiet Asian” and in 2046 he has become a lost womanizer, a typical addicted (weak) lover like in Ashes of Time . (2) Symbolic interpretation – C,G. Jung’s Archetypes. (3) The number 2046 and 2047. With a fellow blogger in Hongkong I discussed the year 2047, that’s when Hongkong might lose its status as a window to the outside, its currency and will be fully integrated in the People Republic of China(PRC). Hong Kong is supposed to remain status quote up to 2047. Deng allowed HK another 50 years to “enjoy” the systems described in 2046. Wong Kar Wai picked 2046 as a title, thats when currency and fiscal sovereignty is handed over – which translates in political freedom. HK is on “borrowed time, borrowed place” . In Hongkong the change will be gradual so by 2047 HK will naturally and smoothly will become just another leading city of China. The movie 2046 takes place in the late 1960’s, where Chow moves in the Orient Hotel, Hong Kong where he writes a science fiction novel. After a quick encounter with Mimi/Lulu, she gets killed in rom 2046 by her boyfriend. The number triggers the idea to the title. Since the bloodstained room needs to be cleaned he moves in room 2047 and stays there. So the big change is due 2047. 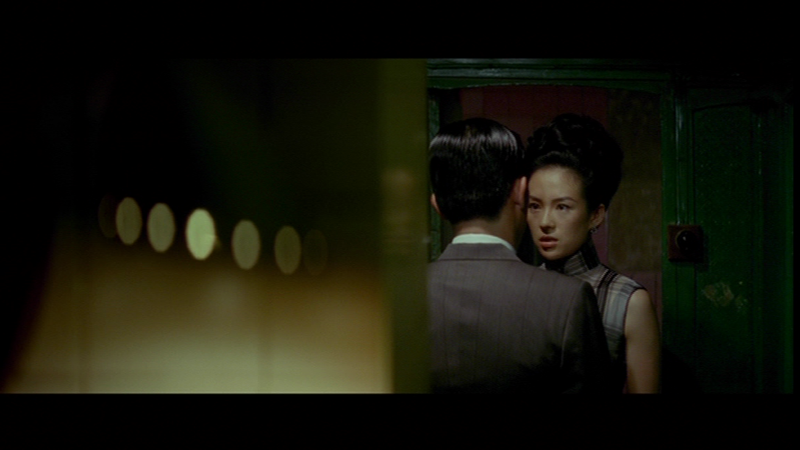 That maybe one reason, that Wong 2046 turns out it to be occupied by one of his old flames Lulu (Carina Lau), who was a former tenant in room 2046 before mysteriously vanishing. Some stills with Lulu are Art Nouveau. 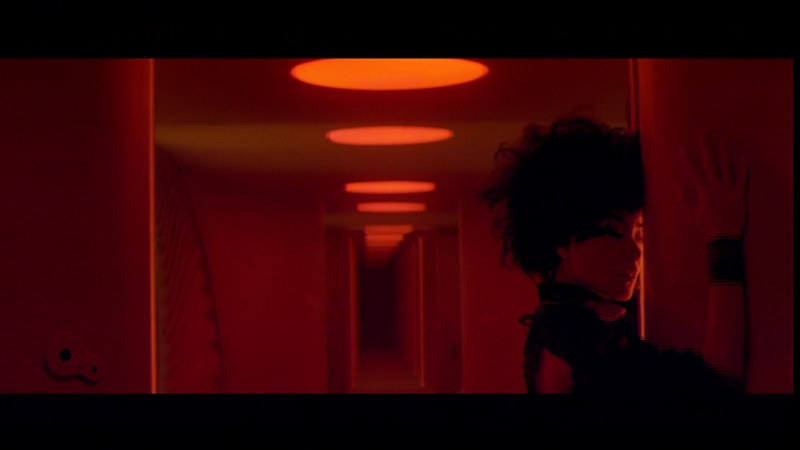 Fascinating red, and asynchrone camera angles. The number triggers reflections on where he and Su Li-zhen used to go for afternoon romps, and serves as artistic inspiration. He creates a story about a place called 2046, where people go to find love and recall old memories. It’s a futuristic world with fast-paced trains, surreal colors, androids, and raw perspective not found regularly in real life. It resembles an acid-trip dream as enticing as it is frightening. As said before, the slow motion acting of the Androids don’t work. 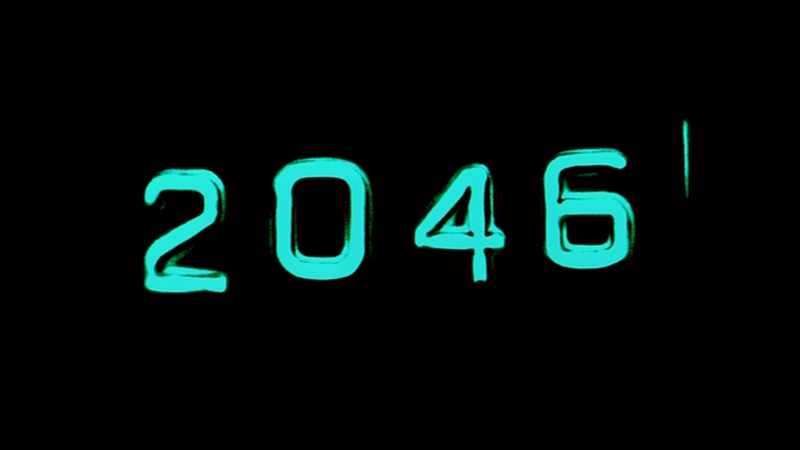 The movie jumps back and forth from the present (1960’s) to the future (2046) where his fictional story is centered. Reality: While staying at the hotel, Chow meets a gorgeous high-class call girl named Bai Ling (Zhang Ziyi). They become lovers and go out together, but he manages to provoke her to fall hopelessly in love with him. He treats her poorly, soliciting 10 USD per interaction for their afternoon encounters, even though she fell deeply for him. She ultimately breaks down from the emotional abuse, and let him go. To add insult to injury, he tells her to come over anytime she wants a quickie. A new Su Li-zhen comes up, an enigmatic gambler and finally his old love Su in a flashback (below). The daughter of the hotel owner, Jing (Faye Wong) is madly in love with her Japanese man, whose nationality leads her father Mr. Wang (Wang Sum), to sternly disapprove of them seeing each other. Chow befriends her and helps the two of them stay in contact by gathering love letters and arranging phone calls. In the process, he starts to have some feelings for her, acting even like a fatherly caring protector –almost like the cynical Rick in Casablanca discovering his good heart and quick to cover it up. 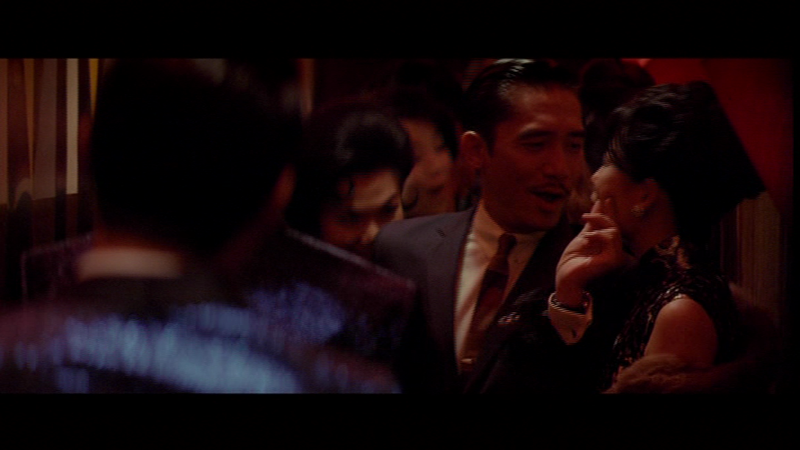 Further encounters take place in Chow’s life, but none that match the love story he experienced during In The Mood For Love. The most tortured woman in the movie is certainly Bai Ling, acted with sheer perfection by Zhang Ziyi, who expresses bottomless agony with a single teardrop. Fiction: The futuristic story of 2046 is Chow’s way of turning those women into fictional. It’s his method of reflecting similar to the way discussing it within psychoanalysis. The random flashes into the world of 2046 are a therapy session in which Chow confronts his shadow and express the feelings that he has locked away inside. But what the use of those slow-moving androids? In a bad mood I would call it close to a boring relationship movie your wife/girlfriend drags you in. The pictures are great, however, the metaphor may hint either the politics or addicted lover theme. 2046 is a sequels and it shows. I have viewed all movies of Wong Kar Wai. Usually I write reviews of books or movies which are important to me, to collect my understanding of them. So far I did not understand 2046 yet. Chungking Express, Fallen Angles – source of my Avatar – provide fascinating psychoanalytic symbols and pictures but best of the best is Ashes of Time. So I thought, at least until I saw the last scene of 2046 a few times. Last scene; Chow is stunned when Bai hands him a stack of money, each $10 bill representing one night they had spent together. He sets himself free staring empty into space, as the camera slowly follows a moving taxi. The last minutes makes the story round again. Lost souls. Tags: Art, Hongkong, Maggie Cheung, Reviews, Tony Leung. Bookmark the permalink.